The State’s key climate plan is not designed to achieve the substantial emissions reductions needed to tackle runaway global warming, the High Court heard today at the opening of a landmark climate case. In late 2017, Friends of the Irish Environment obtained leave to judicially review the Government’s approval of the National Mitigation Plan (NMP) on the basis that the decision was inconsistent with our national, EU and international obligations. Counsel for FiE, Eoin McCullough SC, told Mr Justice Michael MacGrath this morning that the environmental group wants the High Court to quash the Plan and send it back to the Government for remaking in accordance with the law. The goal of the Plan is to achieve a climate resilient economy by mid-century with an 80 per cent reduction in emissions by 2050 compared to 1990 levels across various sectors including agriculture and transport. To keep to this limit, the Intergovernmental Panel for Climate Change concluded that countries like Ireland should reduce their emissions by between 25 and 40 per cent from 1990 levels by 2020. Mr McCullough argued, however, that the State’s plan does not do enough to reach this target or the EU’s legally imposed target of 20 per cent reduction by 2020 from 2005 levels. Mr McCullough said that the design of the NMP is “not calculated to achieve substantial emissions reductions in the short term or indeed in the medium term”. Emissions will actually rise during the five-year lifespan of the Plan from 2017 to 2022, he added. This, he said, creates an “unacceptable risk of contributing to warming” of more than two degrees over pre-industrial levels, the upper limit set by the Paris Agreement at which we can avert the worst impacts of climate change. 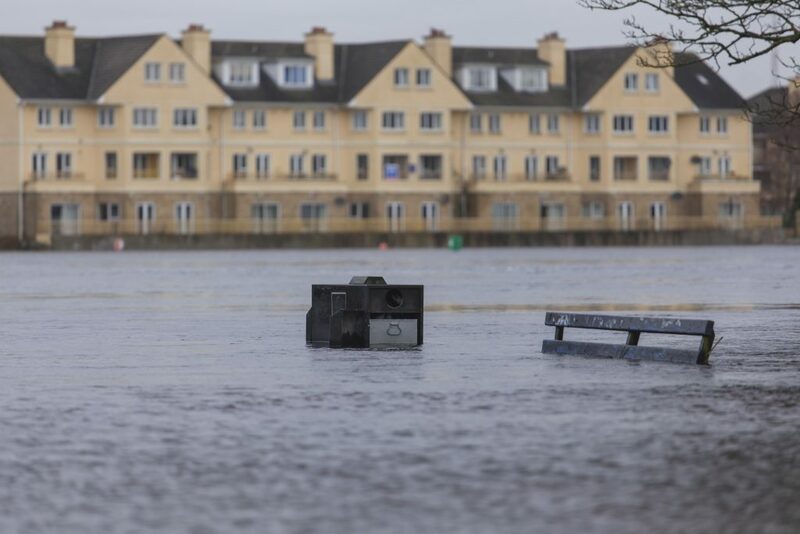 In this light, he said, the Government is failing to fulfil its human right and constitutional obligations to protect Irish citizens from the impacts of climate change. Ireland has the third highest level of carbon emissions per capita in Europe and has “disproportionately contributed to global climate change”, Mr McCullough added. He pointed to the latest annual review from the State’s own Climate Change Advisory Council (CCAC) and the Environmental Protection Agency’s (EPA) latest report on Ireland’s emissions projections as evidence that the State is off track to hit its emissions reductions targets. In addition, Mr McCullough said, the CCAC report finds that the State has “not provided the roadmap” for the transition to a low-carbon society in 2050. Mr McCullough stressed that the continuation of a business as usual scenario will lead to at least a 3.7-degree temperature rise by the end of this century. This, he said, will lead to “multi-metre sea level rise” and other “devastating consequences” such as intense heatwaves, extended droughts, and wildfire. He presented a chart to Mr Justice MacGrath outlining concentrations of carbon dioxide (CO2) in the atmosphere up to 4,000 years ago when, he said, CO2 levels stayed within the “stable boundary” of 200 to 300 parts per million (ppm). Climate scientists argue that to sustain life on earth as we know it, we need to keep CO2 below 350 parts per million. Since the industrial revolution, however, we have “shot out of that boundary” and are today at 410pmm, Mr McCullough said, levels not seen in roughly 2.5 million years. 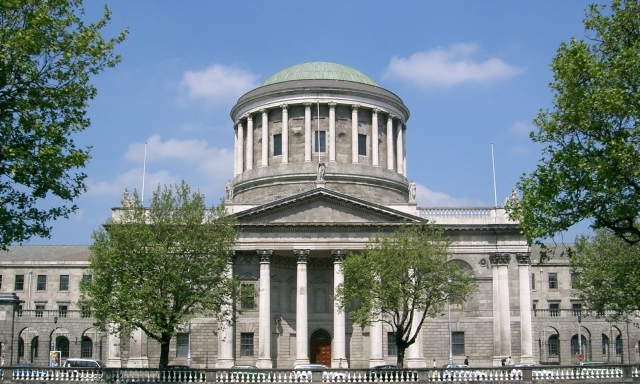 The case has attracted wide public support with over 15,000 people signing a petition in favour of the case to date, including Irish comedian and writer Maeve Higgins. Around 100 supporters of the case, both young and old, watched proceedings from Court 29 today, many standing or sitting on the floor due to a lack of space in the courtroom. 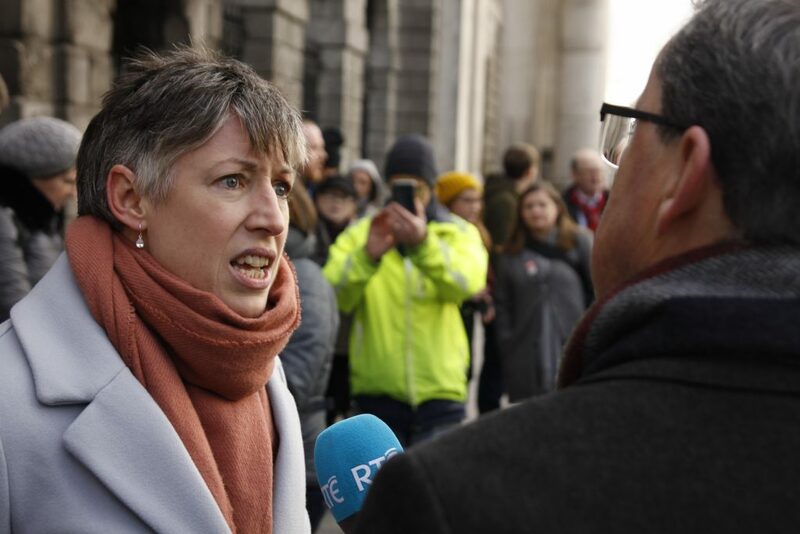 Writing in The Green News this morning, Clodagh Daly of Climate Case Ireland, a campaign group supporting the legal case, said that the public knows what needs to be done yet “our leaders aren’t acting quickly enough”. “We have a window of opportunity to take action, and that window is rapidly closing,” she said, with the group taking confidence from over 1,000 climate litigation cases worldwide from New Zealand to Switzerland, to Colombia to the US.